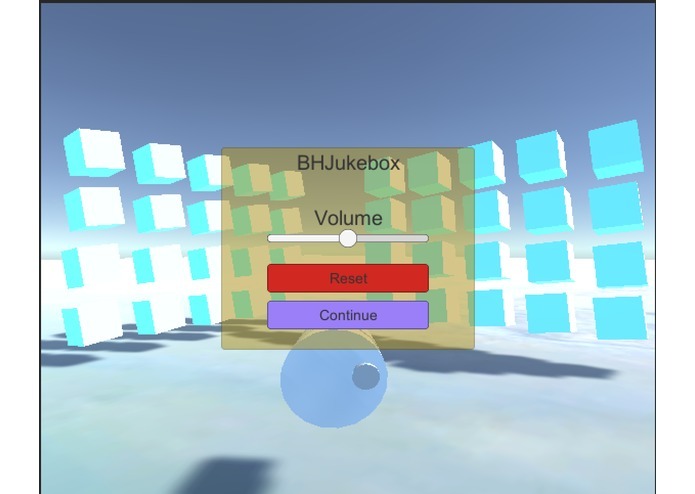 My team created an interface to visualize music in an immersive, virtual envrionment. We wanted to create a new way to experience music. With the advent of the Oculus Rift and Unity, the team aimed to create an interactive and immersive environment to visualize music. The team comprises of three members: Edward Luo, Erwin Wang, and Johnson Chen. We represent Boston University and the University of Waterloo. There are shapes within the platform that change size according to the wavelengths of a sound file. The team was excellent at communicating and completing delegated tasks. Making the environment even more visually immersive and engaging.